ESET is a tech company that makes anti-virus software for home and business users. 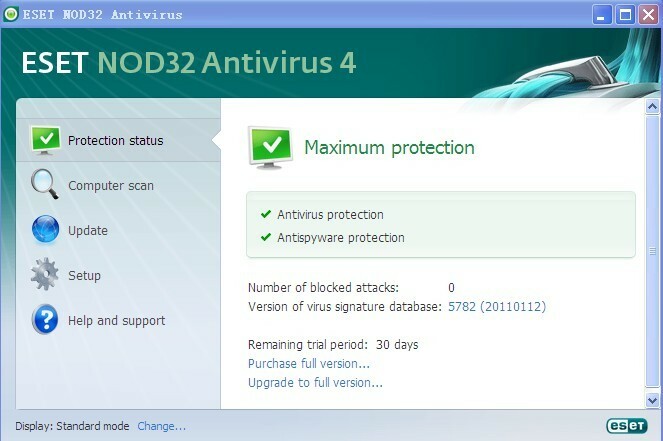 Today, I’m going to do a review on their latest NOD32 Antivirus 4 software. It’s always good to be able to try the goods before you pay for them. 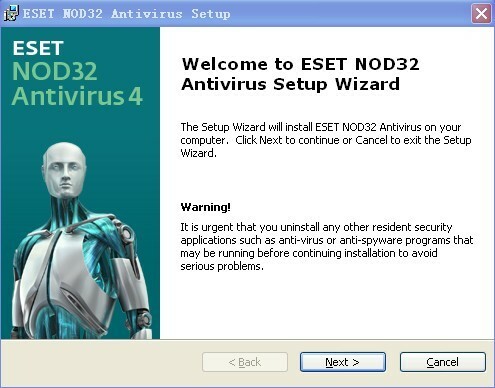 And Eset provides an industry standard 30-day free trial of NOD32 Antivirus 4. You can get the trial here. If you are interested in the software, you can get it on their official website for ￥60 yuan ($9.30)/3 months, ￥118 yuan ($18.20)/6 months, ￥228 yuan ($35.20)/year or 388 yuan($52.20)/3 years. Smarter Scanner – Threats don’t always enter your network in ways you expect. ESET NOD32 Antivirus inspects SSL-encrypted communication channels like HTTPS and POP3S and intelligently scans compressed files to find hidden threats other products miss. Proactive protection begins at the earliest point in system startup to ensure your computer is always secure. Clean and Safe Email – Email scanning for Microsoft Outlook, Outlook Express, Mozilla Thunderbird, Windows Live Mail, Windows Mail, and other POP3/IMAP mail clients, ensuring your email is free of viruses and other threats. Removable Media Security – Threats can enter your PC from removable media such as USB thumb drives. For self-running media, ESET NOD32 Antivirus scans autorun.inf and associated files when the medium is inserted, in addition to scanning any file on any removable device when it is accessed, or during a full-scan of the media. Power users can adjust ESET NOD32 Antivirus to perform additional levels of scanning on removable media. The installation procedure doesn’t require much effort. It takes about 1 minutes to finish the installation. But you may need to enable Windows Update on your computer. Otherwise, NOD32 will constantly tell you that you’re not under NOD32’s maximum protation. NOD32 Antivirus 4 has a neat interface. My virus sample folder contains 62 computer viruses. I keep them for test purpose only. They are pretty safe if you don’t “activate” them. Otherwise, you mess with the bull, you get the horns. I’m going to scan this folder with NOD32 and it’s supposed to find the viruses in the folder and either quarantine or remove them. The whole folder is 15.2MB big and the scan took 22 seconds. That’s very fast but I’m not pleased with the scan result. NOD32 Antivirus 4 killed 9 viruses and left 53 alive. I’d say it’s an AV software that has a gentle heart; though gentle should not be a character of anti-virus software. That’s kind of disappointing. 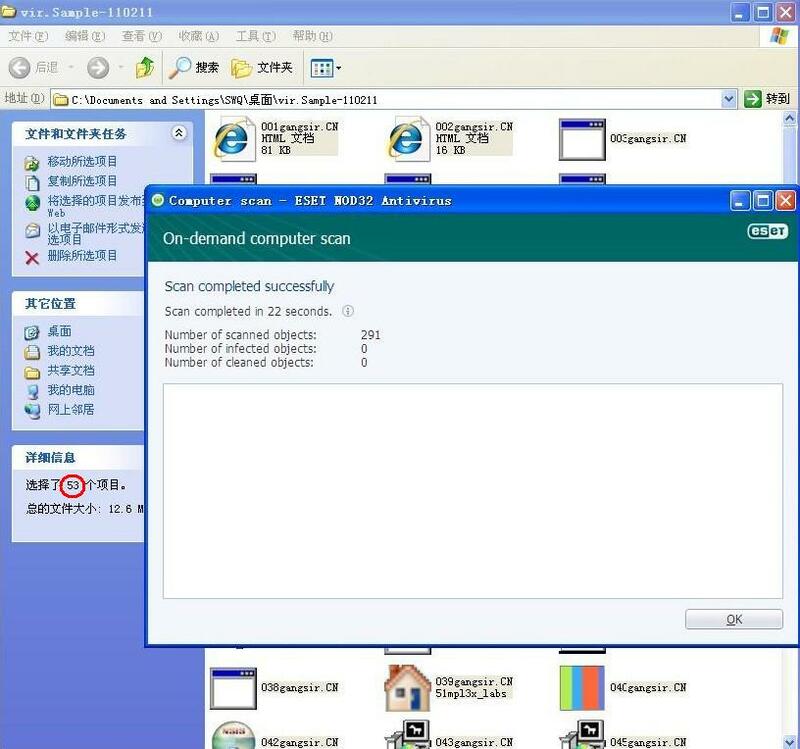 Perhaps NOD32 isn’t good at dealing with Chinese viruses. 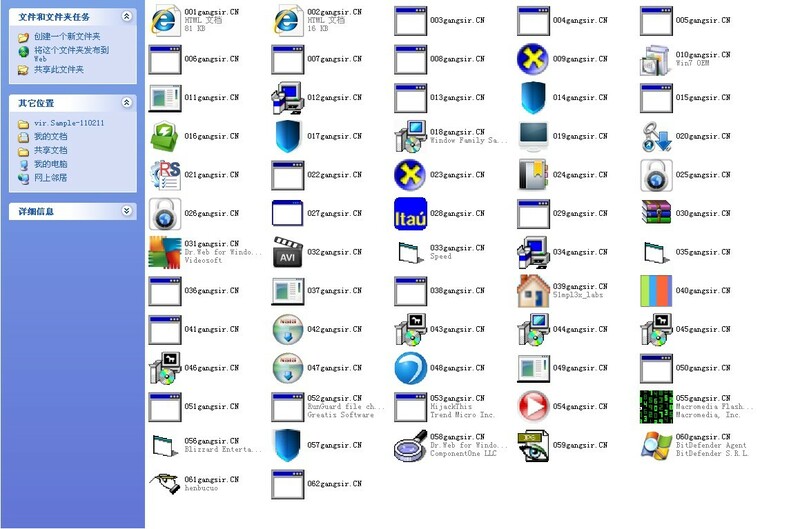 Though I have seen other anti-virus software do a much better job, catching 59 out of 62 viruses. The memory usage of NOD32 Antivirus 4 at idle is around 6MB. And it consumes about 64MB of RAM during scanning. As a matter of fact, NOD32 doesn’t use a great deal of system resources, at least not on my computer. And it doesn’t make my computer notably slow even though my computer only has a single core processor and 1GB of RAM. Well, I’m not satisfied with NOD32’s general performance. Not at all. Honestly speaking, $35/year is a fair enough price for genuine anti-virus software, but not for this one. Anti-virus software is something that is supposed to make your computer safe from various of PC viruses, not to make you think it’s safe. With this kind of performance, I can’t recommend NOD 32 Antivirus 4 to anyone. I noticed that NOD32 Smart Security 5 RC and NOD32 Anti-Virus 5 are up on ESET’s website. Let’s hope their next generation flagships will make things work out. Discussing this review on our forum. Review sample provided by ESET.